AMD held a launch event in Australia at which it revealed the appearances of the RX 470 and the RX 460 as well as their official reference specifications. At the event, AMD gave a rundown of the Polaris lineup, beginning with a recap of information on the RX 480. Following the RX 480, the RX 470 was introduced. Once again, no date was given for the card’s release, but in the accompanying slide, the card was pictured along with vital statistics. 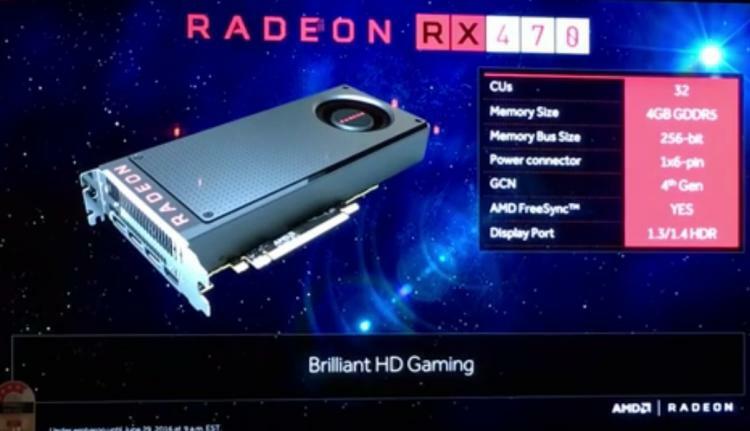 Despite the blower design in the picture, according to the presentation, the RX 470 will launch as an AIB card with AMD’s manufacturing partners designing custom boards and coolers and having the option of producing reference cards like the one pictured. 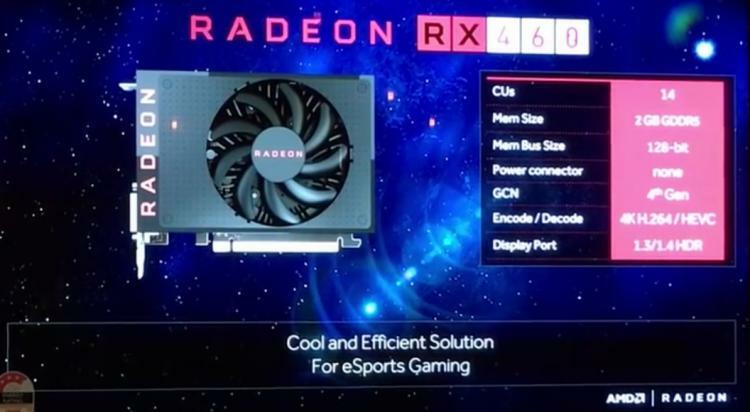 The RX 460 was also introduced as a card focused on delivering acceptable performance of mainstream and e-sports gamers. Like with the RX 470, the card pictured is a reference design, but it will be launched as an AIB card, so designs can vary greatly. The one thing to note is the obviously small form factor. The RX 460 looks considerably pared down from it’s Polaris 10 cousins. It will only feature 2GB GDDR5 on a 128-bit bus and will have 14 CUs. Even though that doesn’t seem like much, it should hit AMD’s target market perfectly. The presentation also did mention that Vega was on track for a 2017 release at the high end of the market featuring HBM2 memory. On the topic of market position, one thing that was obviously missing from the presentation was pricing information. It looks like these Polaris offerings are shaping up to be great mid-range cards, but definite information is still a bit scarce.